Gwynedd Council have threatened Leisure Centre staff in Bangor, Tywyn and Dolgellau with disciplinary action if they can't speak Welsh. The Plaid Cymru-run council's Language Committee have threatened disciplinary action against staff who don't speak "the customer's language of choice". 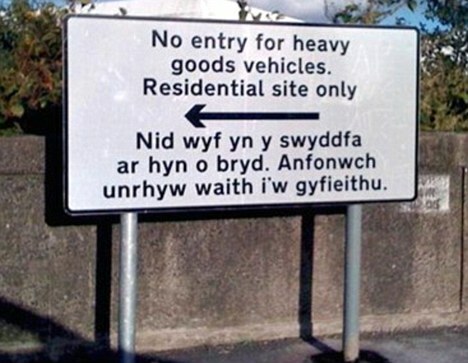 The Welsh Language Measure 2011 places a duty on public bodies to provide services in Welsh to Welsh speakers but has no such provision for English speakers and no protection for people who choose not to learn to speak Welsh. The 2011 census showed that Polish is the second most spoken language in the UK and almost as many people in Wales speak Polish as speak Welsh.